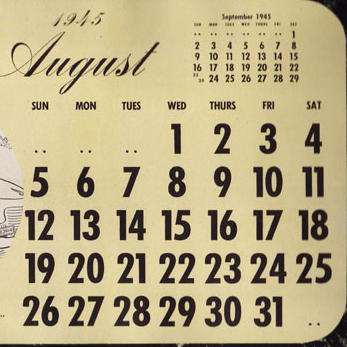 Mongolian independence was an important aspect of negotiations leading to signed on 14 August. Officially, the negotiations and the agreement were bilateral in nature, but the US was very much a backstage presence that muted the effects of Soviet attempts to blackmail China. An important aspect of the negotiations leading to the Sino-Soviet Friendship Treaty, signed on 14 August, was Mongolian independence. Officially the negotiations and the agreement were bilateral in nature, but the U.S. was very much a backstage presence that muted the effects of Soviet attempts to black­mail China. During Sino-Soviet negotiations that began in early July and ended with the 14 August treaty signing, Nationalist China involved the United States to maximize their gains in the negotiations; the U.S. was keen to prevent the expansion of Soviet influence into China. Soong Tse-ven (Song Ziwen), China’s Foreign Minister, worked closely with the American Ambassador in Moscow. Soong tried hard to avoid giving full independence to Mon­golia within existing borders and even as late as early August he was still trying to persuade Stalin to reassess the border after the war. 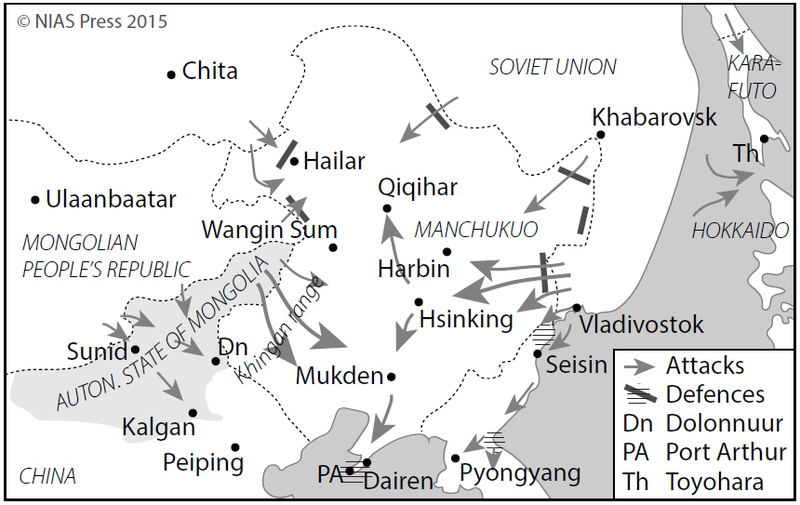 After meeting with Soong on 8 August, W. Averell Harriman, American Ambassador to the Soviet Union, report­ed to President Truman that Stalin insisted on the recognition of Outer Mongolia within its existing boundary. 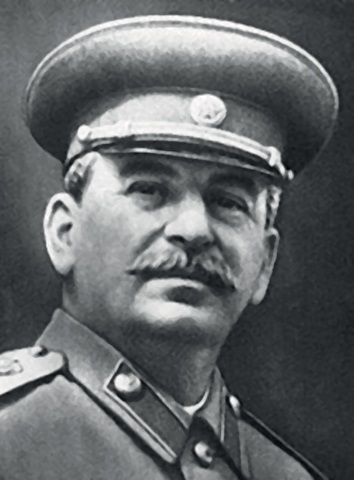 Further, Stalin threatened that, without clear recognition, Mongolian leaders might be successful in their attempt to combine Inner and Outer Mongolia into a single Great Mongol State. Stalin was perhaps more aware than the others at the table that a Soviet-Mongol army might be capable of imposing such a state. 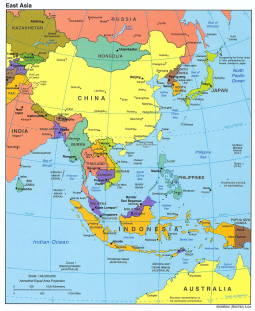 Three days later, on August 11, Har­riman sent the full text of the Mongolian Government declaration of war against Japan to his home office, and explained this action as Outer Mon­golia’s attempt to show itself as a sovereign state. He emphasized the Mongolian intention of entering the war to unify all the Mongol tribes, including Inner Mongolia to the south and Manchukuo to the east, and warned that the MPR and Commu­nists in China who controlled northern China would have a com­mon border if the Mongolian intention came true. Harriman was even more concerned that Stalin now seemed to support Mongo­lian intentions. Washington considered Stalin’s warning to unite Inner Mongolia with Outer Mongolia as a violation of the Yalta agreement and saw this as Stalin’s ambition to establish his influ­ence over all Mongols. James Francis Byrnes, Secretary of State, in­structed Harriman on the same day: ‘Inner Mongolia should not be included under any conditions in Sino-Soviet agreement which will be signed within Yalta accord.’ Accordingly, when they met, Harriman requested that Stalin respect America’s open door policy in Manchuria and demand no further concessions from China af­ter the latter accepted the idea of Outer Mongolian independence. The U.S. and Britain were united to prevent Stalin’s apparent devia­tion from the Yalta agreement. 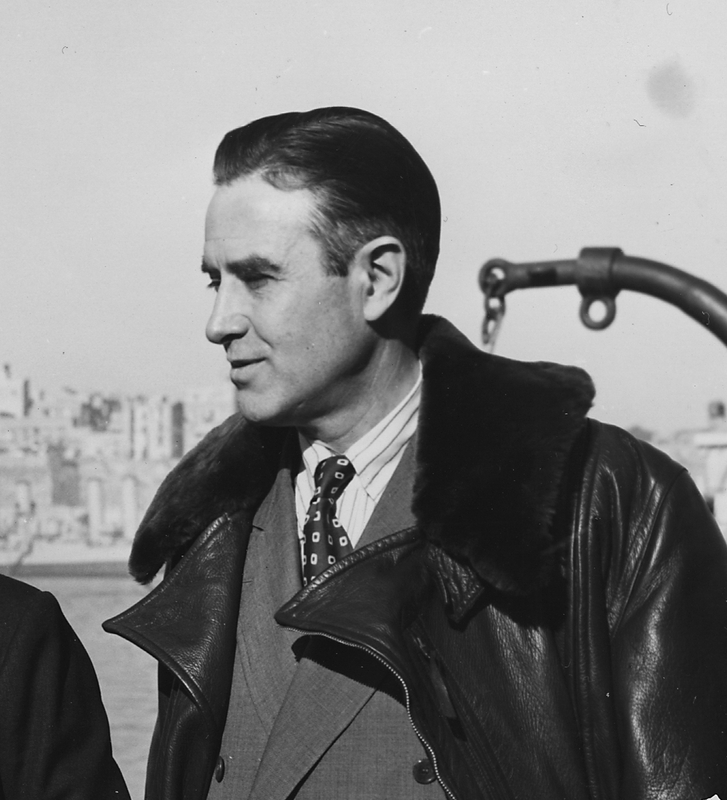 On the morning of 14 August, Soong informed Harriman that both sides agreed on all issues and expressed gratitude for strong U.S. support during the negotiations. The Soviet government’s 17 August note to Washington said that the Chinese Government would recog­nize the independence of Outer Mongolia within its existing bound­ary after the Japanese surrender, considering the Mongolian people’s desire for independence, if a plebiscite confirmed this wish. 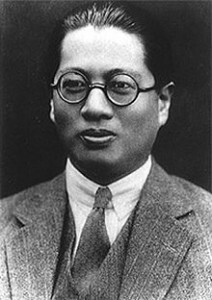 Soong Tse-ven, Chinese Ambassador to the Soviet Union. T.V. Soong is believed by some to have been the world's richest man at the time. He is also the brother of the three Soong sisters, one of whom married Chiang Kai-shek, another Mao Tse-tung and a third Hong Kong entrepreneur H.H. Kung. Averell Harriman, he U.S. ambassador to the Soviet Union, would later become influential in the formulation of America’s Cold War for eign policy.